To remove the dirt, stains, weeds and hard deposits from your paved, brickwork or concreted wall and floor coverings you can use our professional services. The patio cleaning which we implement is suitable to be used in properties, located in Highbury N5 to ensures safe and presentable outdoor areas. Our cleaning technicians are specially trained to work with pressure washing jet machines that are very effective in eliminating all kinds of hard deposits. Use our impeccable patio cleaning services whenever you need effective washing and sanitising of your garden and outdoor house areas. Our services are implemented according to the requirements of the customer. They can include pressure washing with jet machines on all kinds of hard surfaces that have become filled with dirt, stains, moss and other deposits. Our cleaning technicians can remove weeds, moss and algae from slippery patios and external walls. 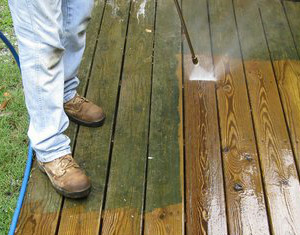 The pressure washing which they apply eliminates chemical residues, stains, stubborn grime and dust. It is implemented with powerful jet washing machines that work with hot or cold water and with or without the use of detergents. Use our patio cleaning services which are at your disposal in Highbury to improve the condition of your outdoor house area. Our cleaning technicians are supplied with the latest machines and excellent quality preparations that are effective against stubborn stains, chewing gum, scuffs, roots, chemical spillages. 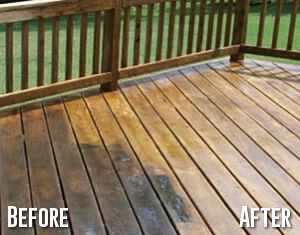 They can restore the spotless and impeccable state of your garden and house outdoor area. Our staff bring all necessary jet washing equipment in their vans and apply suitable detergents to protect the patio from further growing of algae, weeds and moss. Working throughout N5, our company is ready to offer the patio cleaning which every customer needs. 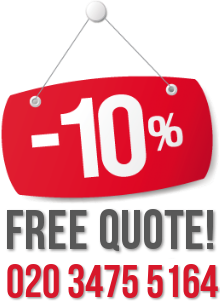 Call us any time to arrange the free inspection of your patio and get a quotation. The pressure washing is followed by re-sanding with a power brusher to make sure the patio smooth and levelled.